Hello everyone, hope you are all happy and healthy and thank you so much for dropping by here! 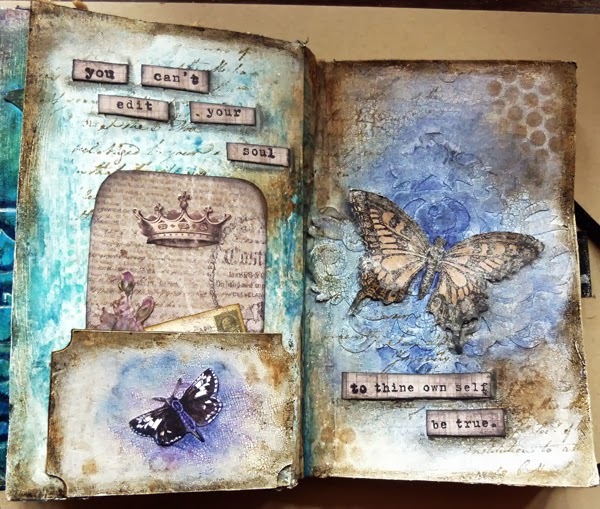 This time I played with Distress Stains and Inks, I also used some Tattered Angels Chalk Mists, all of this over pre-gessoed pages. I also threw some Picket Fence Crackle paint into the mix. 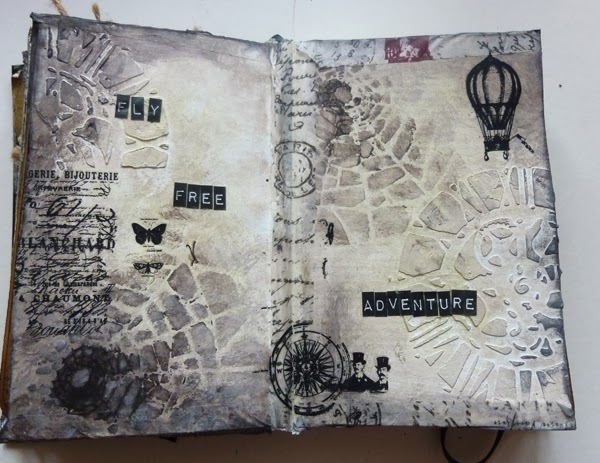 Before starting on any colour work, I adhered a Sizzix die cut to one of the pages for some texture. Hard to see from the photo, I know. The vocal stamp is an Inkylicious one. 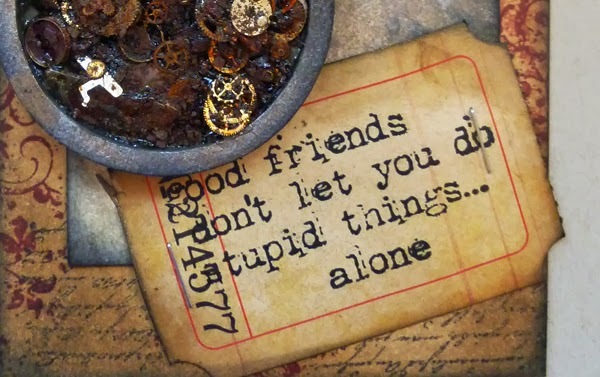 The text is a Unity stamp from Donna Downey. Here you can see a bit more of the texture and crackle, That yummy blue (well I like it anyway) is the chalk mist. I have had it for ages and was so glad to find a use for it. You can expect to see more of it in the future. 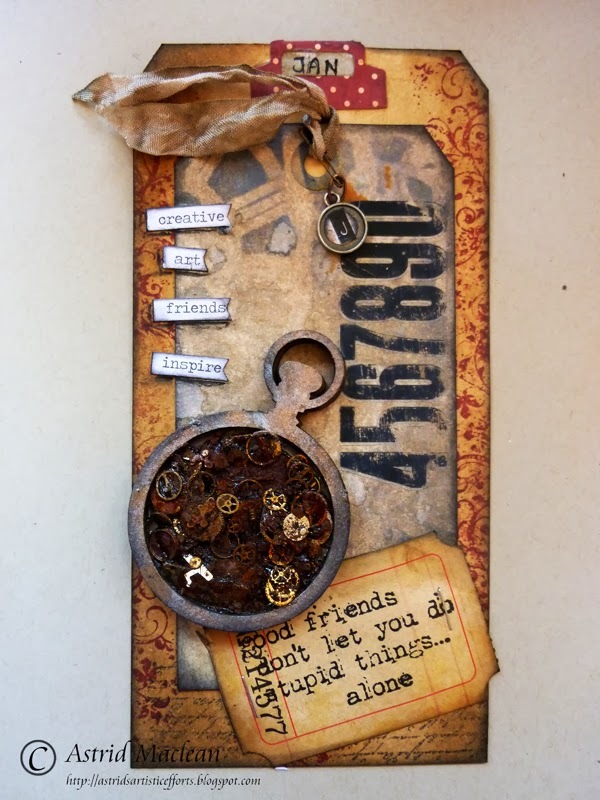 Here is the other side, with a pocket (cut with a Tim Holtz ticket die) and a tag for journaling. 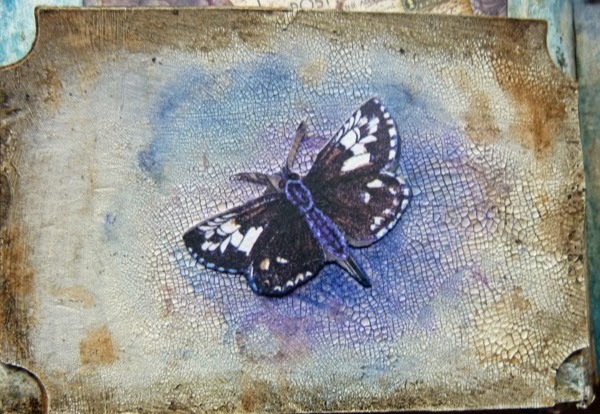 The butterfly was cut from the Madame Payraud's paper collection, (another new favourite) as were the bits and pieces on the tag. Here's a close up of the pocket. That's one of the reasons I have only made one tag for this page. I'll leave you with this wonderful quote and hope you are having a creative and positive time yourself. Hello everyone, thanks so much for dropping in. This weekend I had some playtime so I decided to play with some of the wonderful designs from Nicecrane. 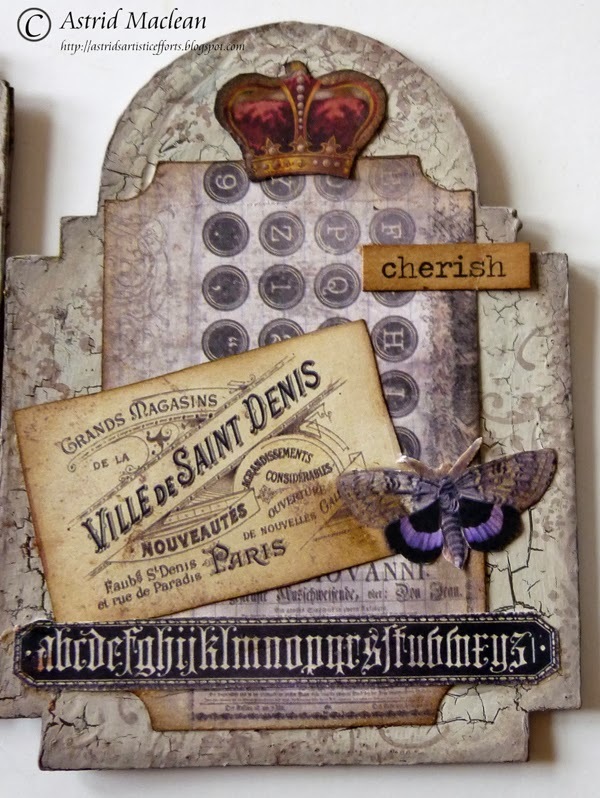 I created a kind of accordion card, using the Tim Holtz Vintage Cabinet Card die. I cut 3 large ones, two of them with the small cabinet card die inside to create frames, and then I used the cut outs for the end pieces as you can see from the pictures. I cut them all from chip board, then painted them with Fresco paints, first in Mud Splat, then with crackle glaze and then the top coat was Stone. 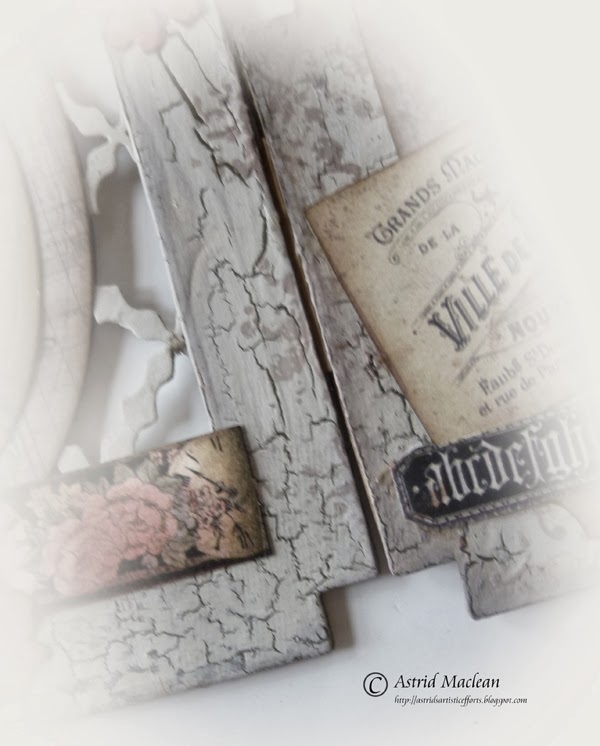 When the crackle had done its magic I cut some trellises with a memory box die and glued them behind the two framed pieces. Finally I decorated them with papers from the Papermania Madame Payraud's collection. I totally love those papers. The vocal images are from the following two Nicecrane collections: Henry Hutt Women and Vintage Woman's Hats. 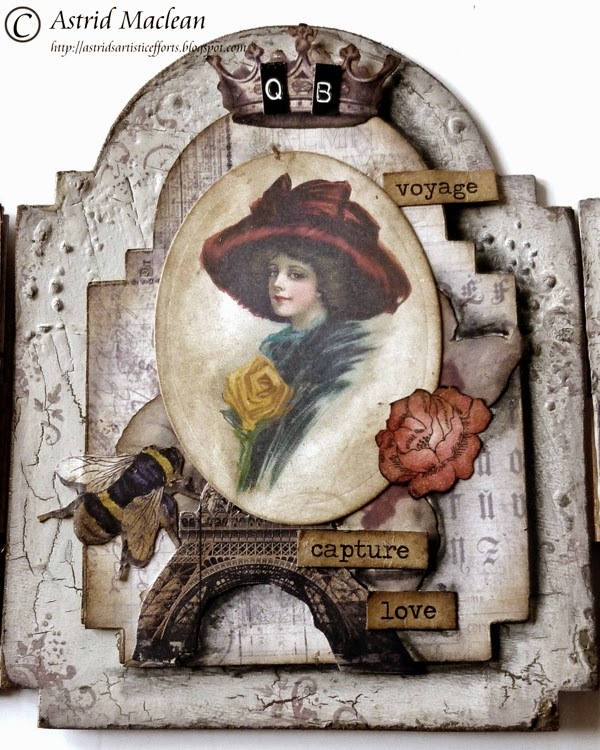 One of the end pieces, collaged with bits and pieces from the paper collection. I also stamped all the frames with a Stempelglede swirl stamp in Walnut Stain Distress Ink. 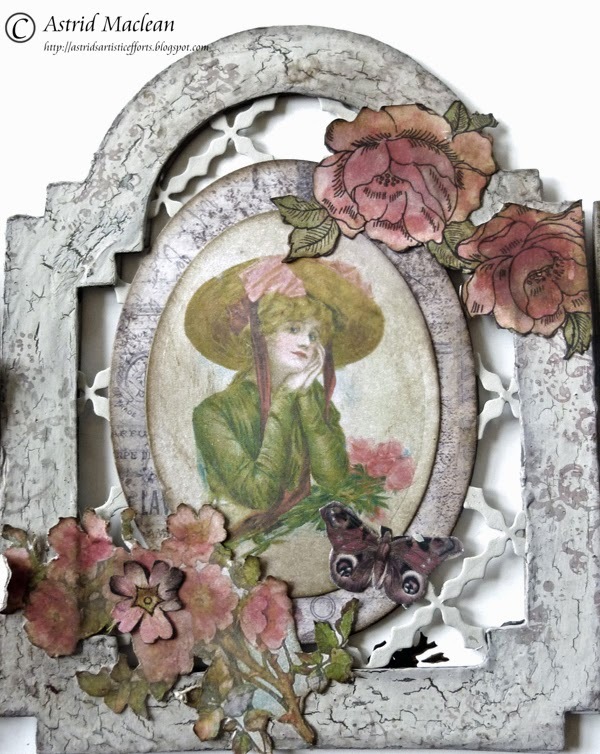 One of the Henry Hutt women, the roses are from the Graphics 45 Ladies' Diary collection. I inked them with some Aged Mahogany and Walnut Stain Distress Inks, to tone them down a bit. 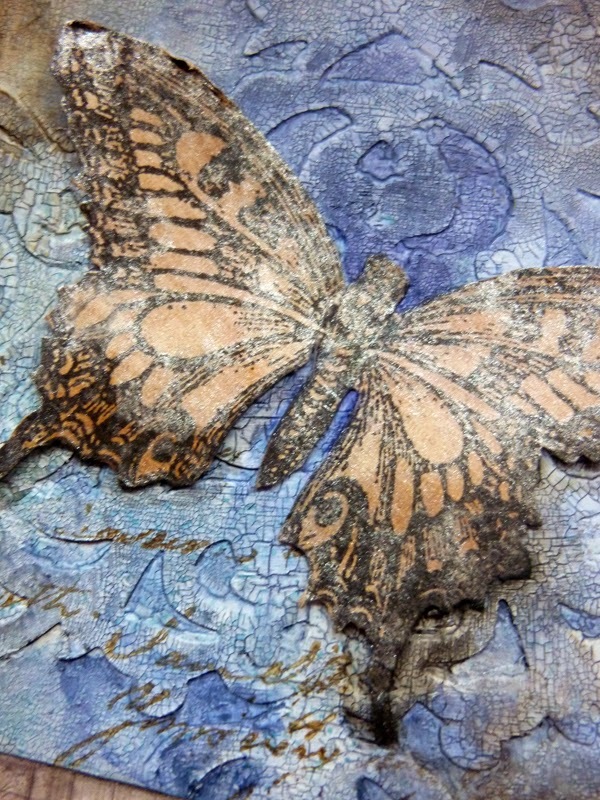 The butterfly is from the Madame Payrauds collection. 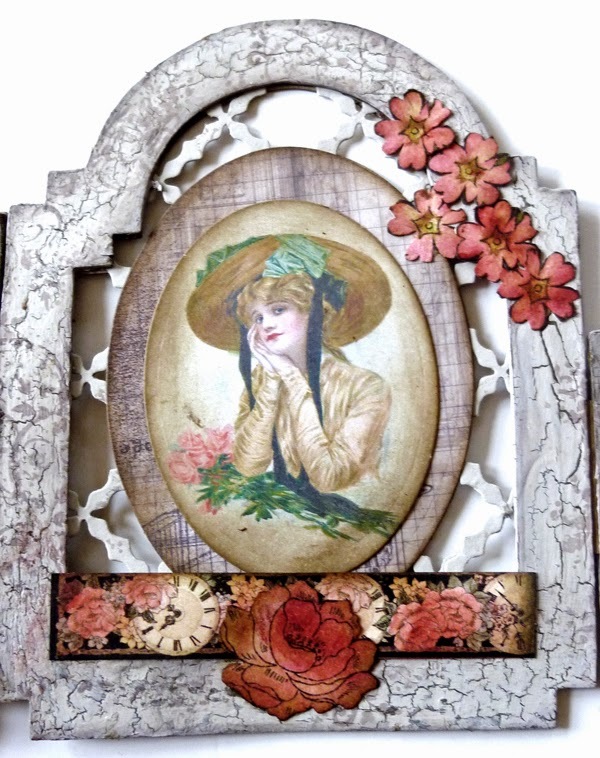 I thought this lady from the Nicecrane Vintage Woman's Hat collection, needed to take centre stage on this card. She looks so confident and happy. The other bits are mostly from the Madame Payrauds Collection again and another G45 rose. 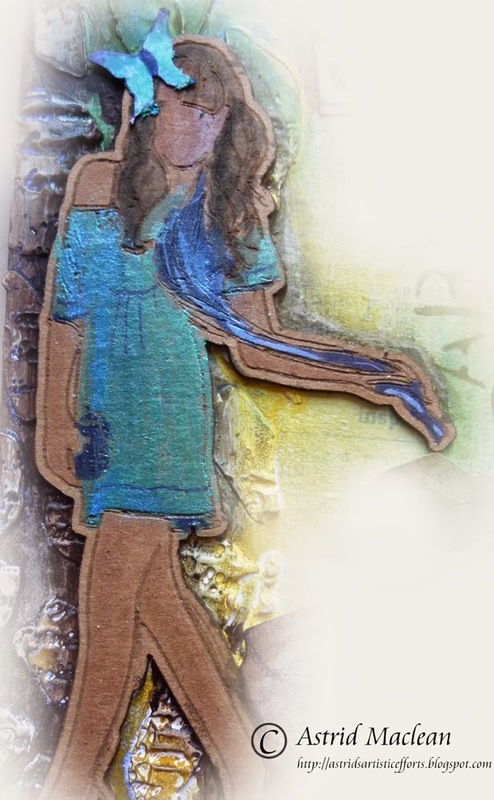 Another Henry Hutt woman, to mirror the first one, again embellished with the G45 Lady's Diary flowers. And the final end piece, to mirror the first panel. Well, that's it for now. 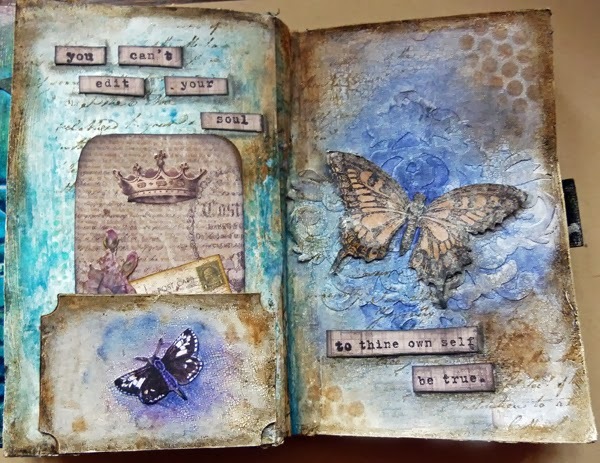 Not my usual style of late, but I had fun playing with all the lovely papers and images. The backside was just finished with further papers. 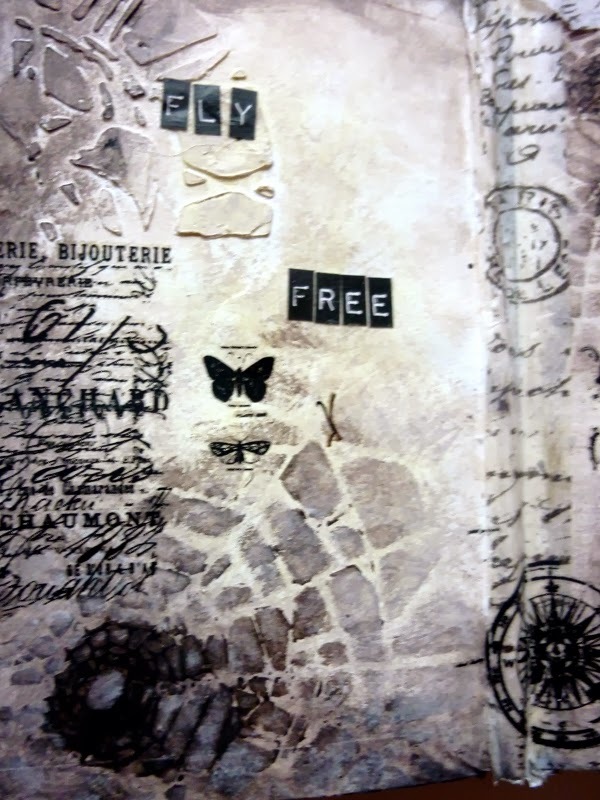 All the words are from the Tim Holtz chit chat stickers, as most of you will have guessed. 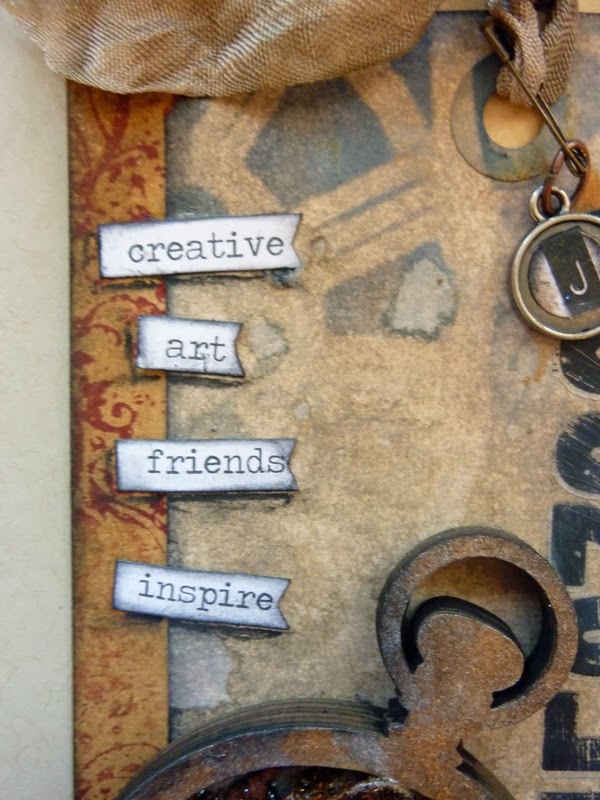 Hope you are all having a creative week. Thank you for visiting like always! Hello everyone and great to have you drop by here. 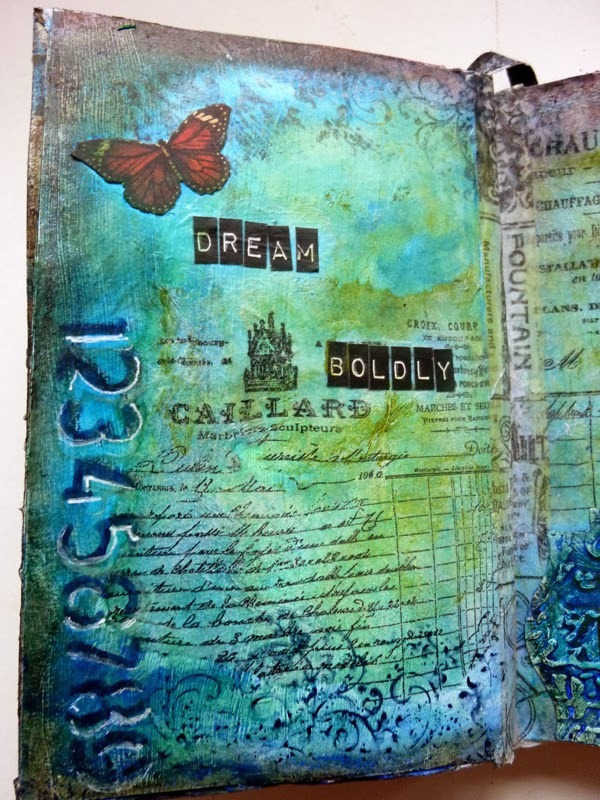 Today I am sharing a journal page over at The Artistic Stamper. Like usual, I'll show you just a little preview here and if you want to see more and how I went about creating my page, just click HERE. Hope you will like it, and thank you for visiting and all your wonderful comments, like always!! Hello everyone and welcome! Lovely to have you drop by here. After having done several guest design posts for them I was delighted to be asked to become part of their permanent team. 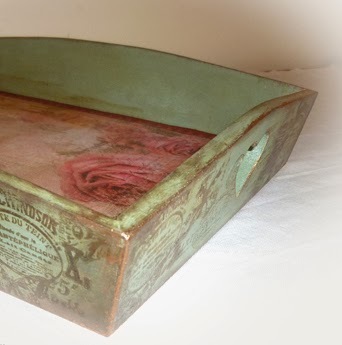 If you don't know Calico Crafts, do check them out. 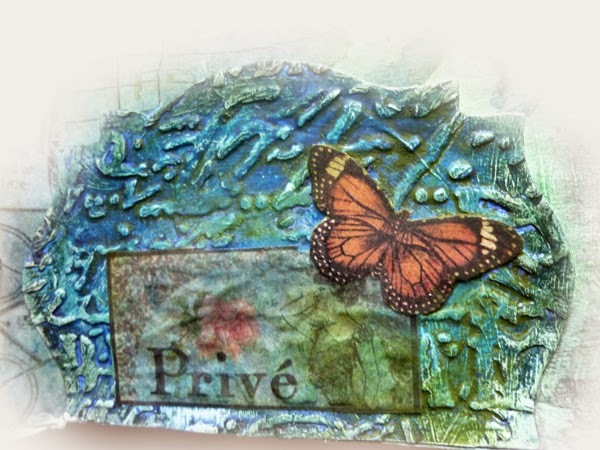 They are like a paradise for the mixed media and altered artist, as well as paper crafters and other creative folks. They stock loads of products that are hard to come by elsewhere, including the very popular Decoart and Andy Skinner products. Thank you for visiting like always and have a creative day! Hello everyone and lovely to have you drop by here. Like usual, if you want to see more, please click HERE and if by any chance you want to leave me a comment (which is always much appreciated of course), you will have to click on the title of my post there. Tomorrow I will be able to share more about my next adventure, so I hope to see you back then. Meanwhile, look after yourself and happy creating! Hello everyone and welcome! A special welcome also to new followers, thank you so much for joining me here for my creative journey. As most of my visitors are likely making their own, I don't need to say much by way of introduction, but if by any chance you don't know about Tim's wonderful monthly challenge, you can find out all about it HERE. Anyway, like most people I had to do some adaptation as I don't own many of the products he used, but that was half the fun of it. 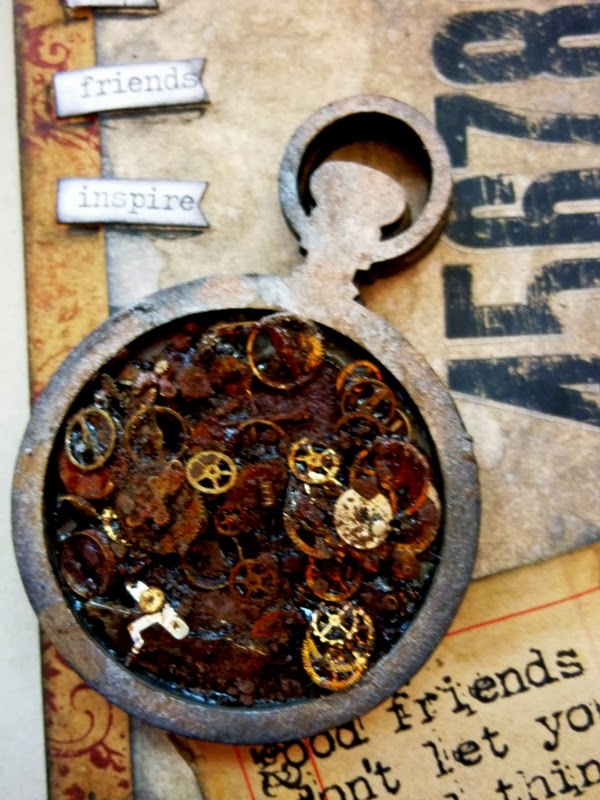 I don't have the pocket watch die nor any cog embossing folders, but I do have some Wendy Vecchi pocket watch art parts, so decided to use one of them and filled it with some rusted watch parts, purchased unrusted on ebay and then rusted with rusting powder from Crafty Notions. I embedded them in Glossy Accents and I have to say, I like the result. 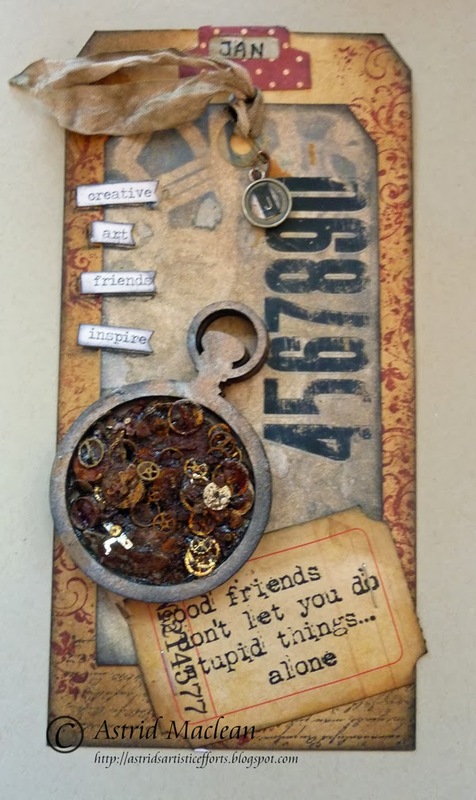 I happened to have one of those tickets Tim used in my box of scraps, and as I wanted my tag to be about friendships in the arty crafty world, which have started to mean so much to me over the years, I themed both my stamped sentiment and my chit chat stickers around that. After adding the stickers I added a bit of shading to make them pop a bit more. It's one of those little letter stickers mounted on a scrap of inked card. 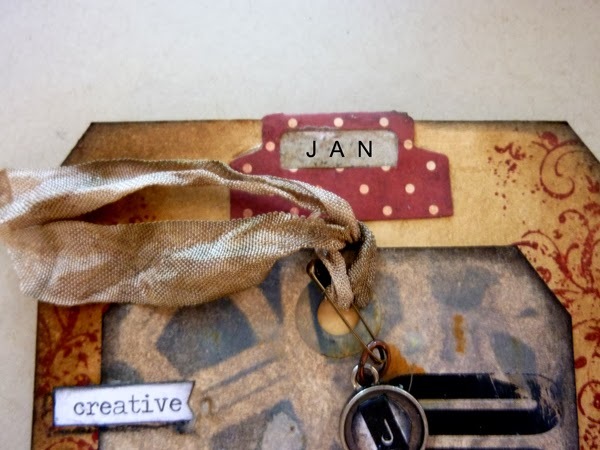 Finally I decided it all looked a bit cramped on the #8 tag, so I mounted the whole tag on a #10 tag that I inked and stamped first and then added a January tab too. 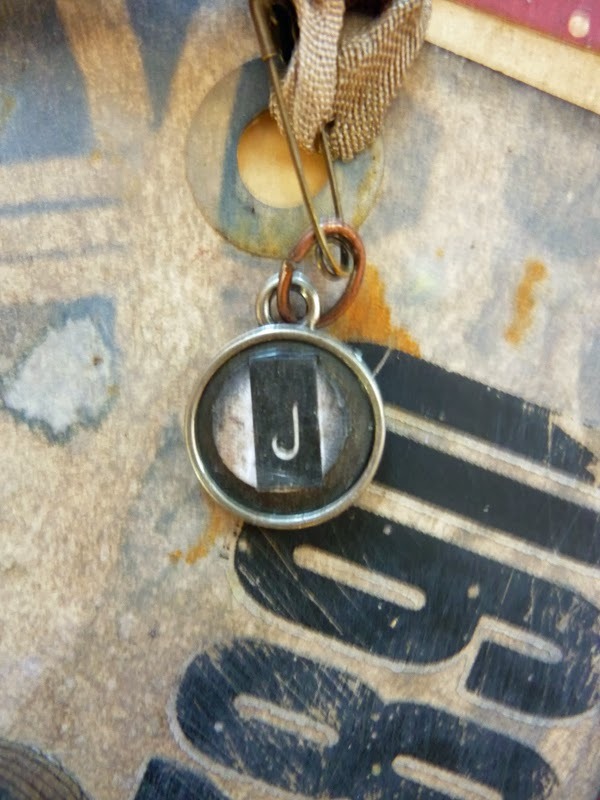 I will do this for all of my tags I think and then put them together in a little book at the end of the year. Thank you for visiting and have a creative day!! It's been a bit quiet here in the last few days, because I've been down with the flu, but I am slowly getting back to normal, so today I wanted to share another double page in my positivity journal with you. A very different mood from the last one, which you can see here, but using very similar techniques: Layers of Gesso, texture paste through stencils, background stamping and on this one also some stamping on tissue paper, and of course colour. 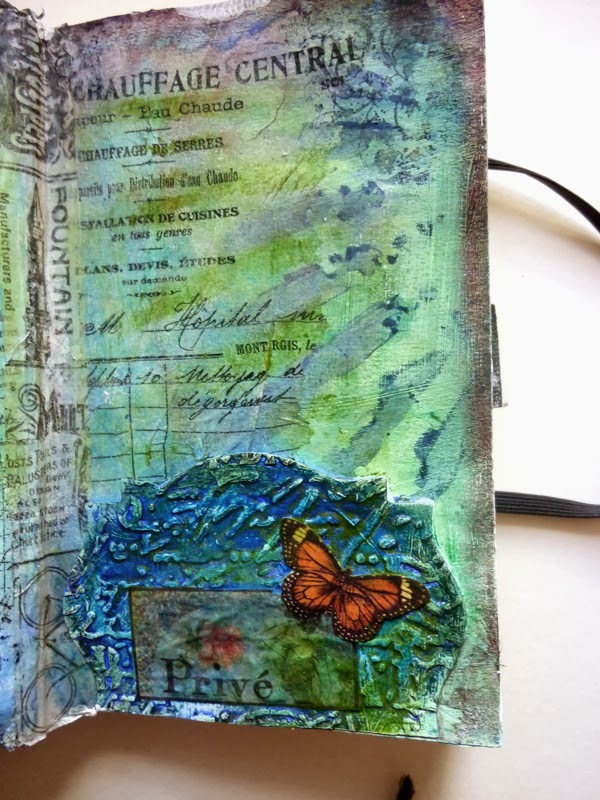 For this journal I am mainly using Gelatos and Distress Paints, both of which I love because of their translucency. 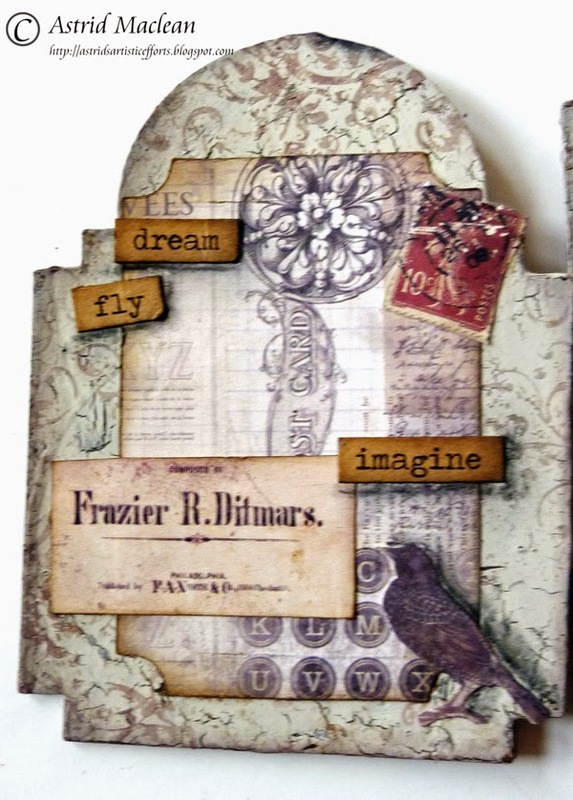 The wording was done with the little Tim Holtz letter stickers, the stencils this time are all from Tim too. This side has a pocket for journaling spots again. 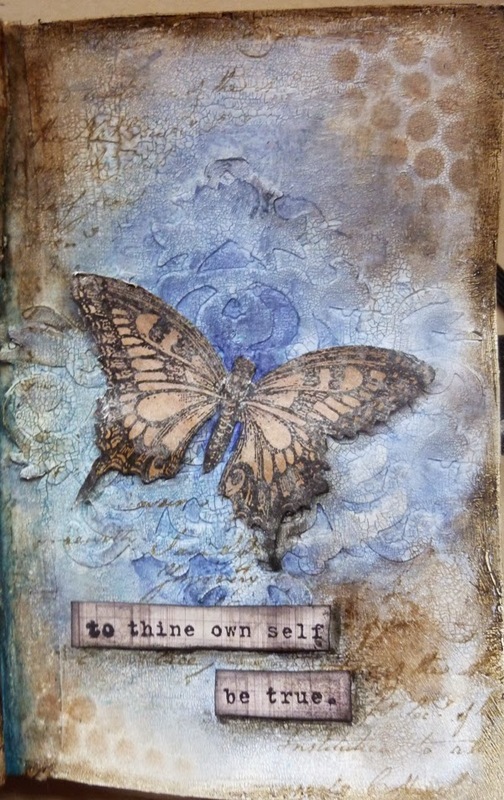 I made it with the help of a Spellbinders die which I ran through a Sizzix/Tim Holtz embossing folder before colouring and embellishing a bit. 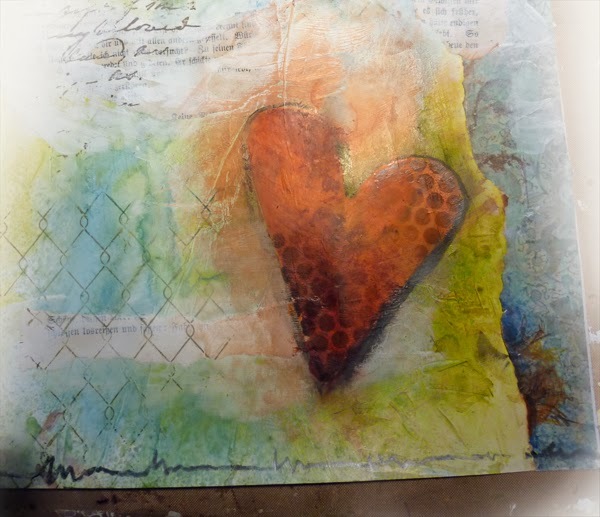 I love how when you blend out the Gelatos over Gesso you get this lovely distressed, faded look around the edges. Rather than making tags this time, I created a little accordion folded mini book to fit inside the pocket and to provide plenty of space for journaling. As you can see, I decorated the one side (with little scraps of a very old collection of Graphics 45 papers, I think it was called Botanical or something). The other side was left blank to record my daily positive thoughts. Thank you for taking the time to visit like always and stay happy, inky and creative!! 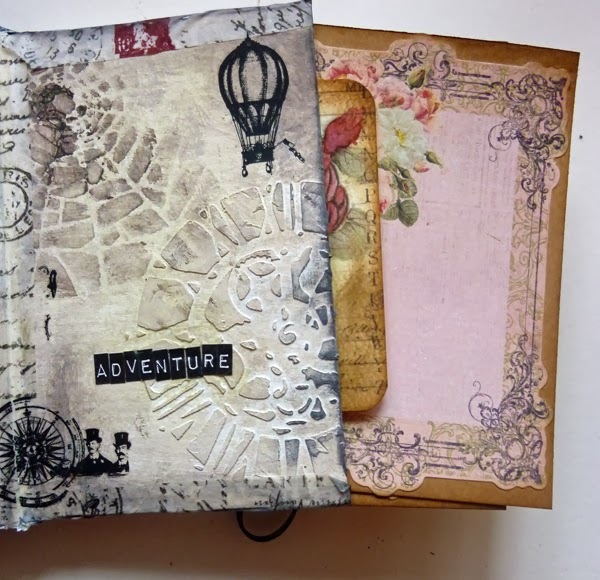 The Journal journey that is.... but before I carry on, a warm welcome and thank you for dropping by. 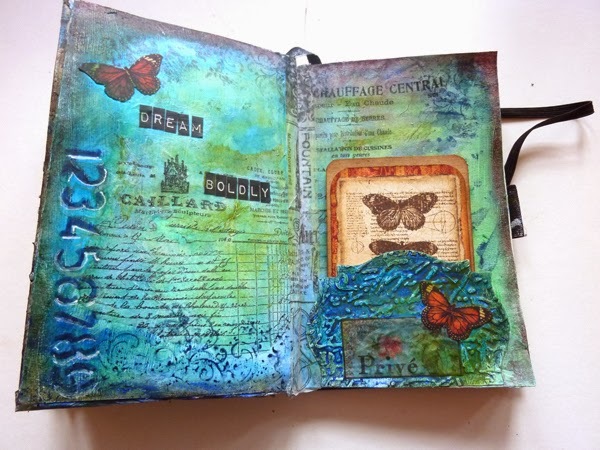 I am sharing the next double page in my positivity journal and am hoping I don't bore you too much with it. This one is rather different and much more masculine, but I guess that was the sort of mood I was in. I also felt like playing with monochrome colours. 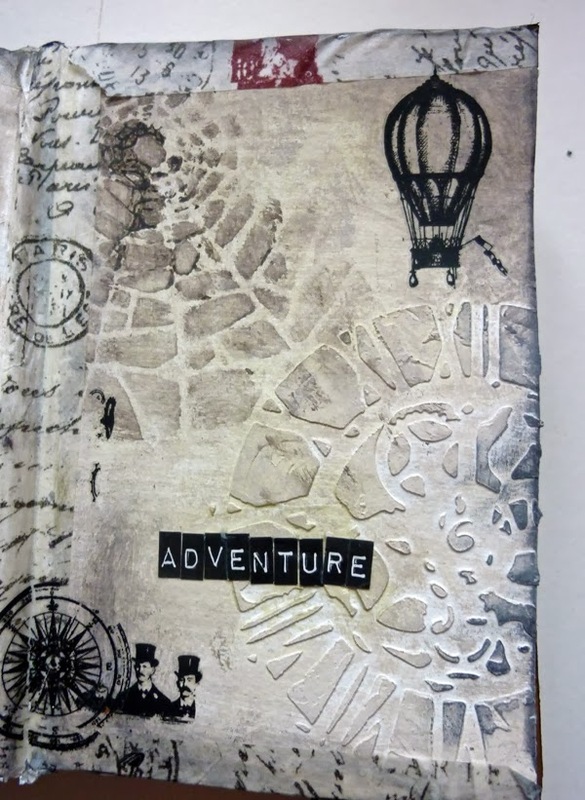 First I covered the pages with Gesso, then I added texture with Grunge paste through some of Tim's stencils (have you seen the new ones being released at CHA? Wow!) 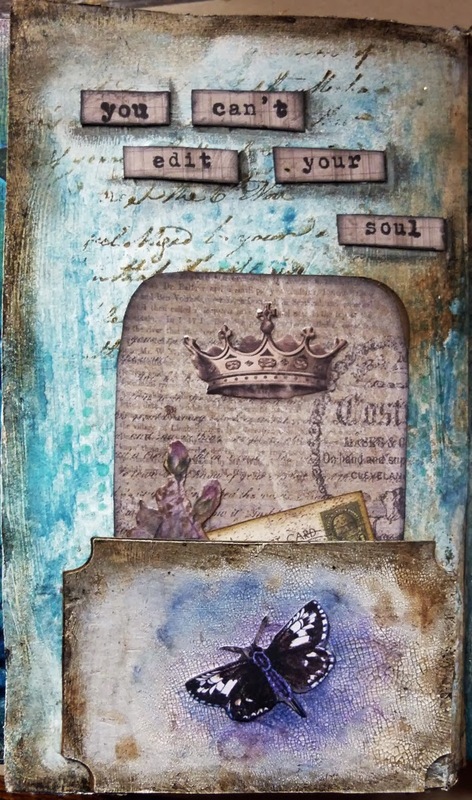 Anyway, after that I added colour with the help of Pumice Stone and Walnut Stain Distress paints and a black Gelato.. Background stamping and remnant rubs plus some tissue tape finished it all up. 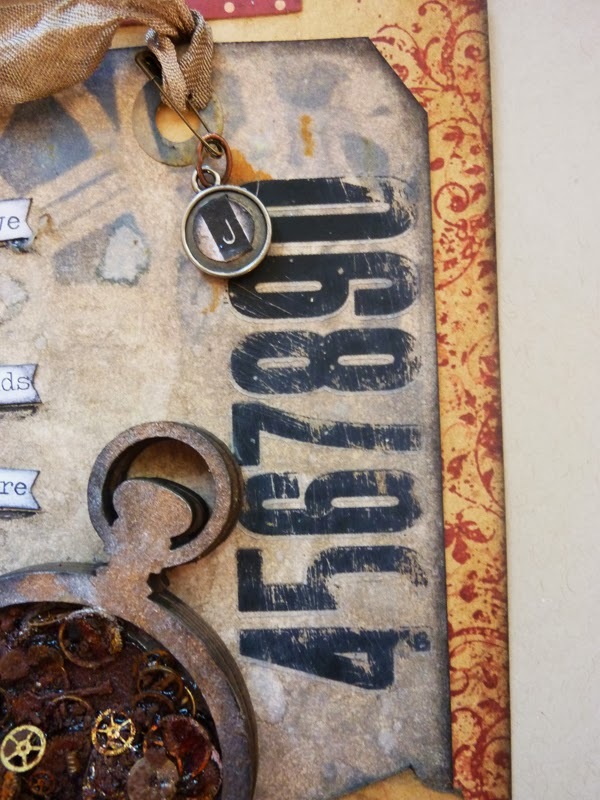 These tags were created with the help of some Prima journaling cards that I have had in my stash like forever. All I did was adhere them to some Kraftcard and then added a bit of inking around the edges. 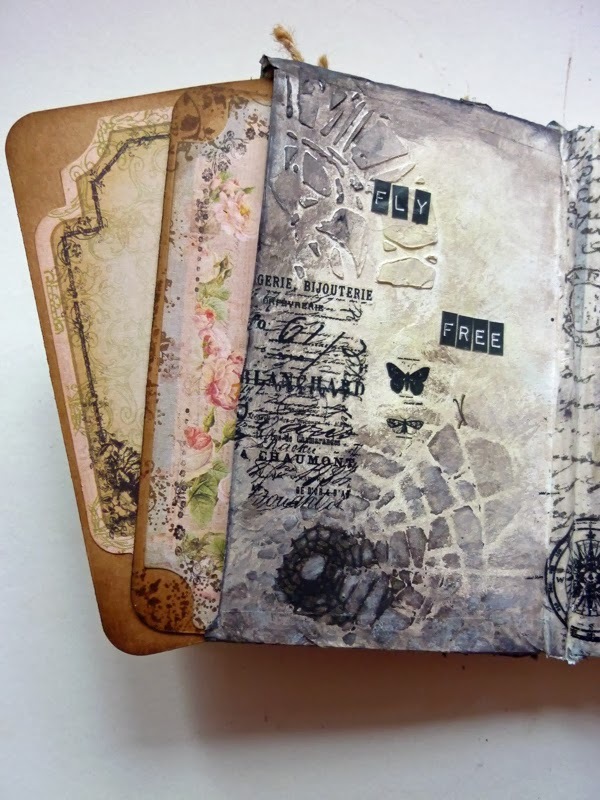 Here you can see all 5 of them, so space for many days of journaling. Well, that's it for today. 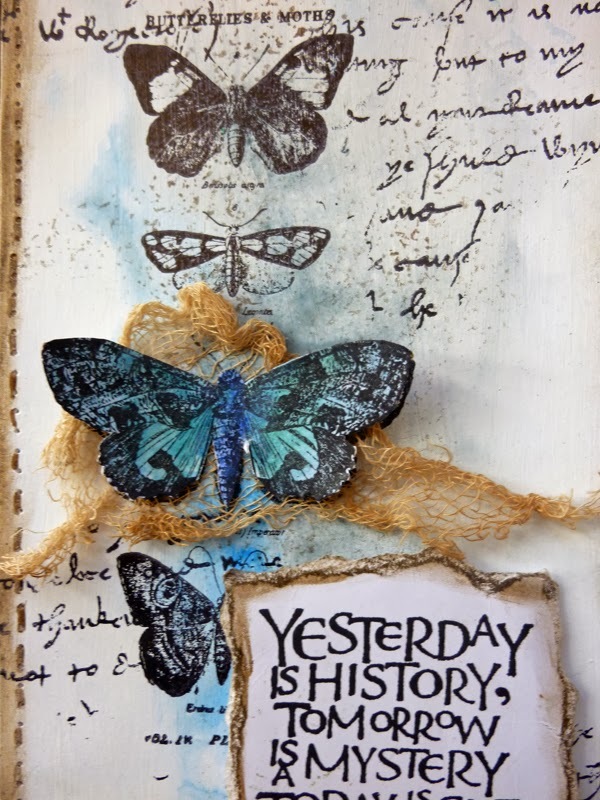 I will add this to the Countryview Crafts Challenge blog where the theme is Monochromatic. Thank you so much for visiting today and I really, really appreciate the time you take to leave your lovely comments. They make my day! Hello everyone and so lovely to see you. 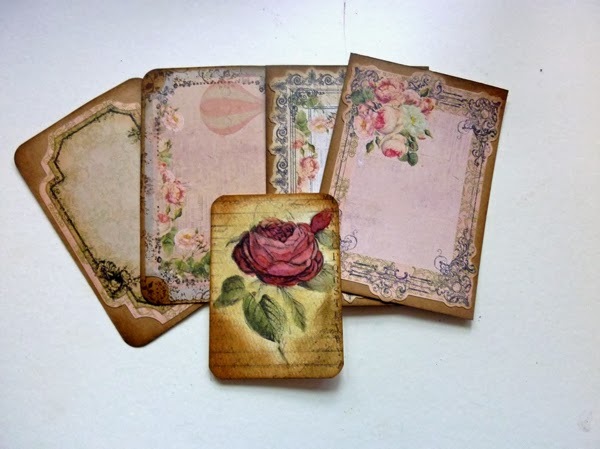 For a while I thought I would stop posting my Friday Freebies, but the fact is, they appear to be so popular and I get so many lovely emails about them, that I have decided I will continue to post them, probably about once a month. 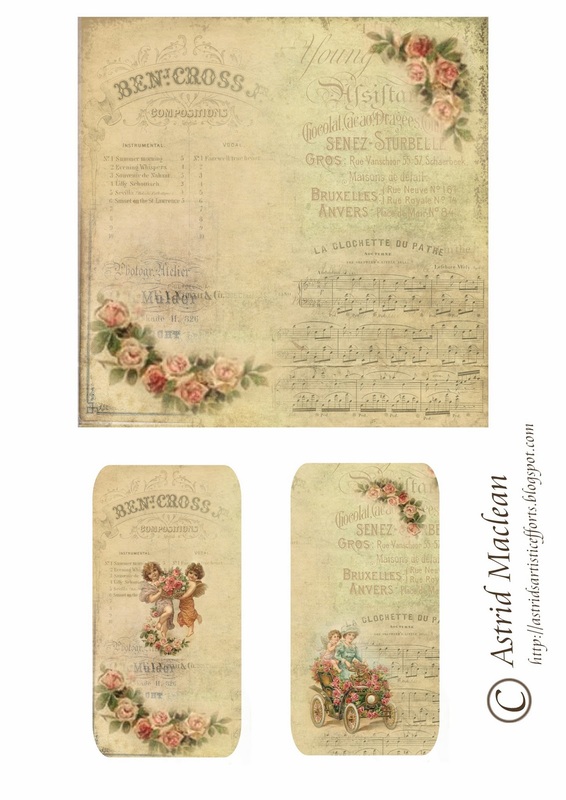 I will put full collage sheets here on my blog and if you are interested in individual png files, I will be happy to send them to you as attachments, just email me. 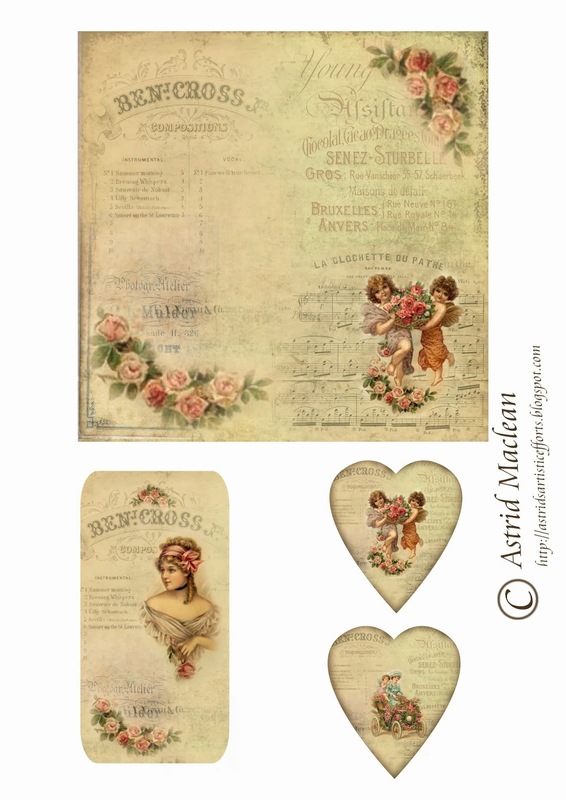 So here goes, for the month of January two Valentines Collage sheets. Hope you like them. You are welcome to print them as often as you like and use them for your own creations, be they cards, tags, bookpages or whatever makes you happy. You are also welcome to sell what you make with them. All I ask is that you don't sell the collage sheets as they are. 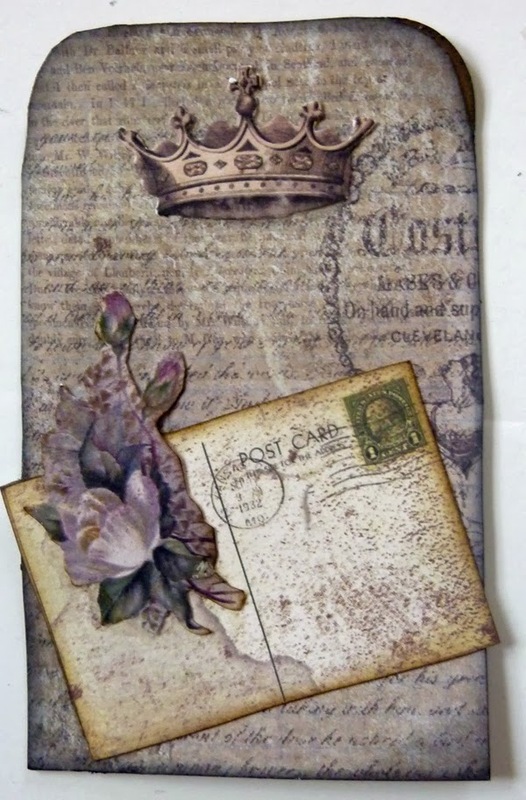 Images used are all from old Victorian postcards found in different places on the web. I have altered them in all cases and anyway, they should be copyright free. Thank you for visiting, enjoy and happy crafting!